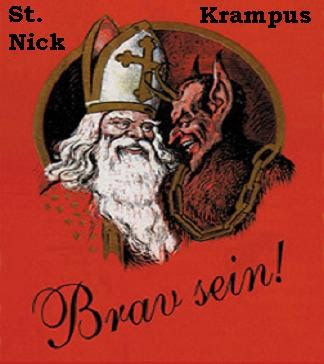 I need Krampus at the house on occasion. Like in the morning, to make the kids get dressed. 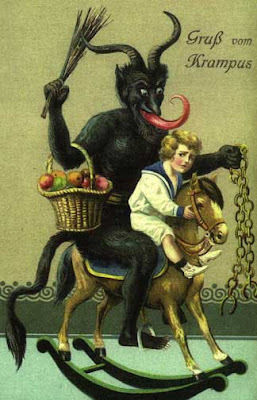 I think we should start some sort of group to promote the re-embracing of Krampus. I think it's something that this country can get behind during these trying times. I'm going to email Obama the idea. I might just be proactive about this by donning a devil suit and hitting random kids with birch branches while informing them they aren't getting any presents this year. When you get the devil suit and head-out, let me know so I can videotape the results!